Football Game Food ...To the Rescue! 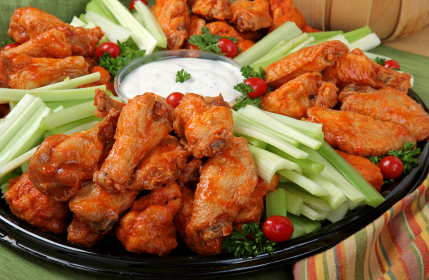 Appetizer recipes have become a very important part of our social life and food experiences. If you love to cook, chances are you also like to entertain family and friends. When you entertain it is very likely you are going to want to serve some sort of food and beverages but not every occasion requires a large meal. 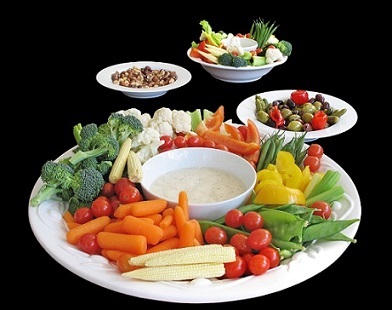 Serve some appetizers - wonderful food to munch on as people socialize. Serve one of these appetizers and you'll serve a favorite restaurant appetizer. The way we have changed our life-styles and eating experiences has elevated these restaurant appetizer recipes to an essential role of the restaurant business. Try a restaurant recipe for home entertainment and you'll dazzle your friends. You can cook with confidence and style. As originally used, appetizers were to be light items and not constitute a complete meal in and of themselves. 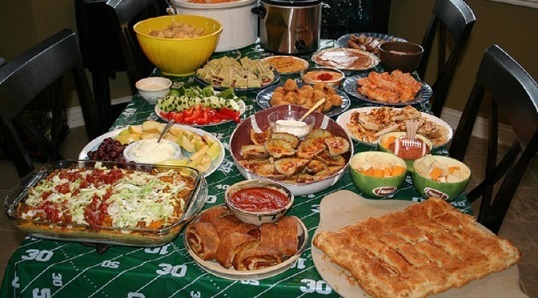 While we still use appetizers as an indication of the meal to come and, quite frankly, as a means of entertaining guests while the main meal is prepared, in America we have assigned appetizers an additional role. Two of my favorite "grazers." 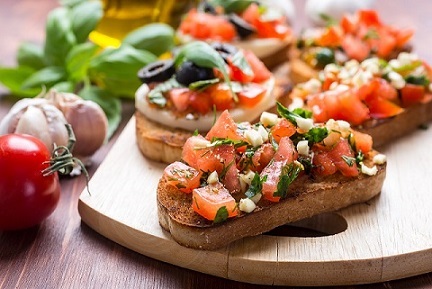 These restaurant recipes for appetizers provide for a full range of tastes, costs and products and have been favorite restaurant recipes for the past three decades. Some of the restaurant recipes have really been secret restaurant recipes ...until now. This Crab Artichoke Dip Appetizer is the all-time best selling appetizer at my restaurant. Preparation time: 15 minutes. Recipes for 8 to 20. A recipe from Organic Farms proved to be a hit with me and our restaurant guests. Serves 12. Cheese, Garlic, And Pepper Lovers - Devour! Preparation time: 20 minutes. Serves 6. Try this Shrimp Appetizer Tray with avocado and tomato when you have to put together a party tray in a hurry but also want a delicious, attractive offering. Preparation time: 25 minutes. Serves 4-6 people. What a hit this recipe is! Recipe is a real restaurant recipe... tested and approved! Serves 6. Guacamole is basically avocado mashed up with a few other ingredients added to it. Preparation time: 15 minutes. Makes about 1 1/2 cups. Chips, crackers and breads of various kinds are both easy and relatively inexpensive and if combined with truly delicious appetizer recipes for dips, spreads or salsas they become a popular means of providing appetizers for guests. This appetizer recipe is not only wonderful with chips ...I also use it in soups and sauces! Preparation time: 30 minutes. Servings: 3-4 cups depending on the size of the tomatoes. This restaurant appetizer recipe for fried cheese has always been a popular restaurant recipe at my restaurant. You probably don't want to serve these as an appetizer if the entree you are serving also has cheese. Preparation time: 15 minutes. Serves 4. You will be pleased to use with your chips and nachos. Preparation time: 15-20 minutes. Number it serves approximately 4-6. This dip appetizer recipe is excellent with not only crackers but French bread or good artisan bread. Preparation time: 15 minutes. Approximate number it serves is 12. You can use French bread or almost any Artisan bread you like. The marinated mozzarella cheese can be purchased from most good grocery stores. The pesto sauce is my restaurant sauce recipe on the website. Preparation time: 10 minutes if you have the Pesto sauce already made. To make 2 cups of pesto sauce will take about 25 minutes. Serves: 8-10. This marinated skewered chicken recipe is an easy marinated chicken appetizer that everyone, including my restaurant guests really enjoy, especially when served with a delicious dipping sauce. Preparation time: 20 minutes. Serves 8.
and as part of your appetizer collection! Preparation time: 20 minutes. This recipe makes approximately 8 servings if used as a sandwich or a salad. For appetizers, much more. This restaurant appetizer is one of the really big sellers my restaurant serves. I only use Dungeness Crab. An expensive appetizer, but worth it for my guests. 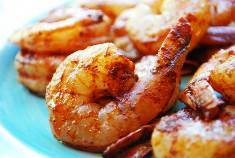 You will really enjoy this appetizer recipe. Having an excellent Hollandaise Sauce is of course critical to getting full measure from this restaurant recipe. Crab Cakes - Move Over Maryland! Crab Cake Recipe puts legendary Maryland crab cakes to the test. 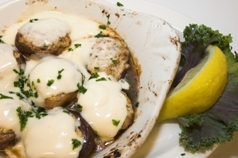 Simply put, a crab cake is a sauteed or fried patty of crab meat. Preparation time: 15-20 minutes. Makes 16 cakes for appetizers. Makes 8 cakes for an entree. The "cheesiest" appetizer you'll ever make! Some call cheese balls "unfashionable." Don't tell my guests! They love this one. Preparation time: 30 minutes (must chill in refrigerator for at least a couple of hours). Makes two cheese balls; enough for 16 -20 servings. Use this recipe with some cream cheese for a wonderfully delicious spread for crackers and chips. Preparation time: 10 minutes. Makes 1 quart. 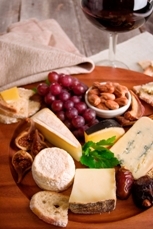 If you want detailed information about cheese as an appetizer or as a dessert and pairing cheese with wine and beer, don't miss the pages on those topics. Just click on “Information About Cheese” and "Information About Wine” and "Information About Beer." Thank you for finding the website. Thanks, too, for your interest in restaurant recipes ...they work! You can cook with confidence and style! 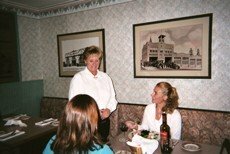 ENJOY your famous restaurant appetizer recipes and the company of those you share them with! "Hors D’oeuvres: A ham sandwich cut into forty pieces." The "key" to this easy appetizer tray is having a great dip ...or two.